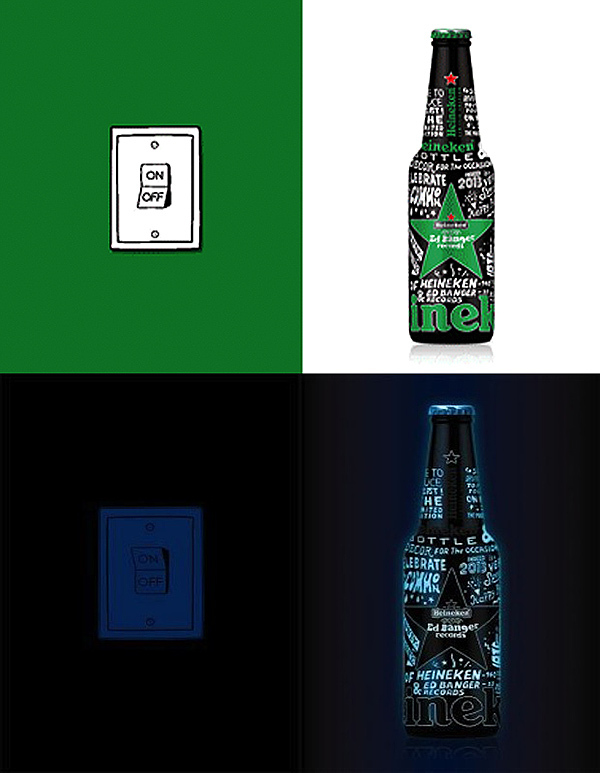 If It's Hip, It's Here (Archives): Heineken X Ed Banger Records Glow In The Dark Bottle by So Me. 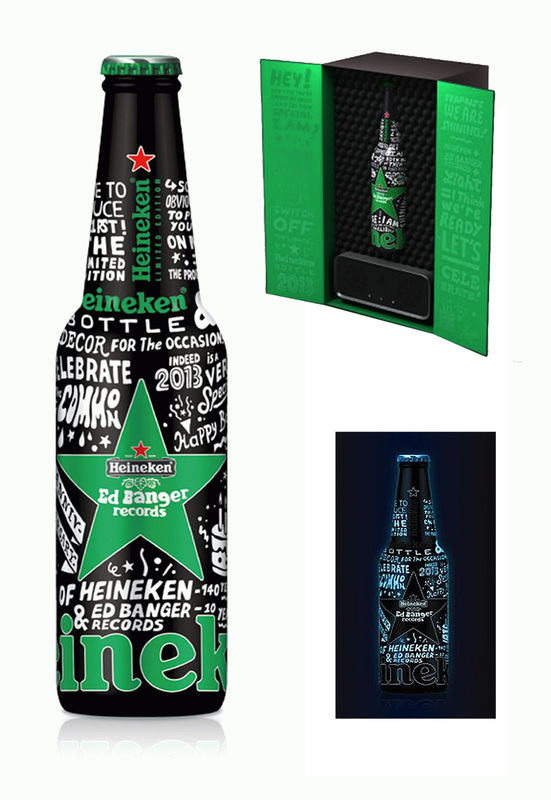 Heineken X Ed Banger Records Glow In The Dark Bottle by So Me. 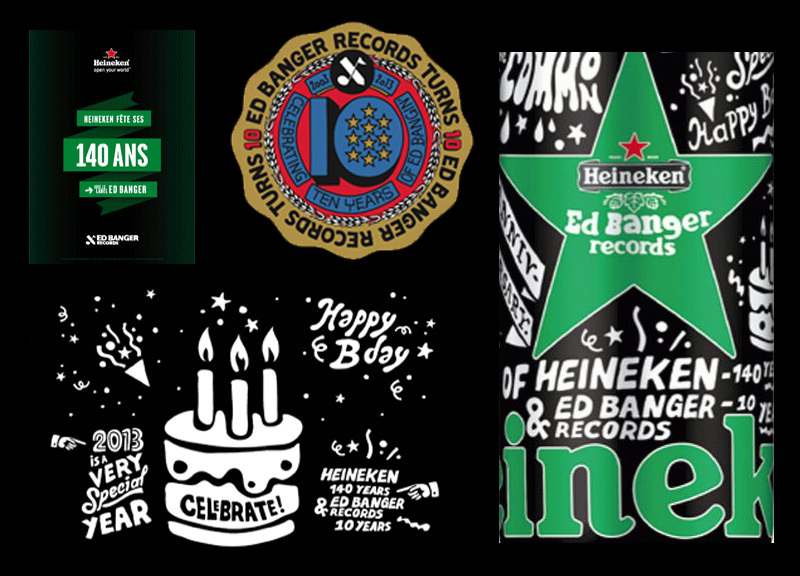 Keep an eye out for this fun limited edition collaborative bottle design representing the dual anniversary of Heineken (140 years) and Parisian Record Label Ed Banger (10 years). The bottle has been designed by Ed Banger Record's graphic designer and animator Bertrand Lagros de Langeron who goes by the name of So Me. Although it was posted on High Snobiety, they failed to mention the coolest aspect of the design.... it glows in the dark! 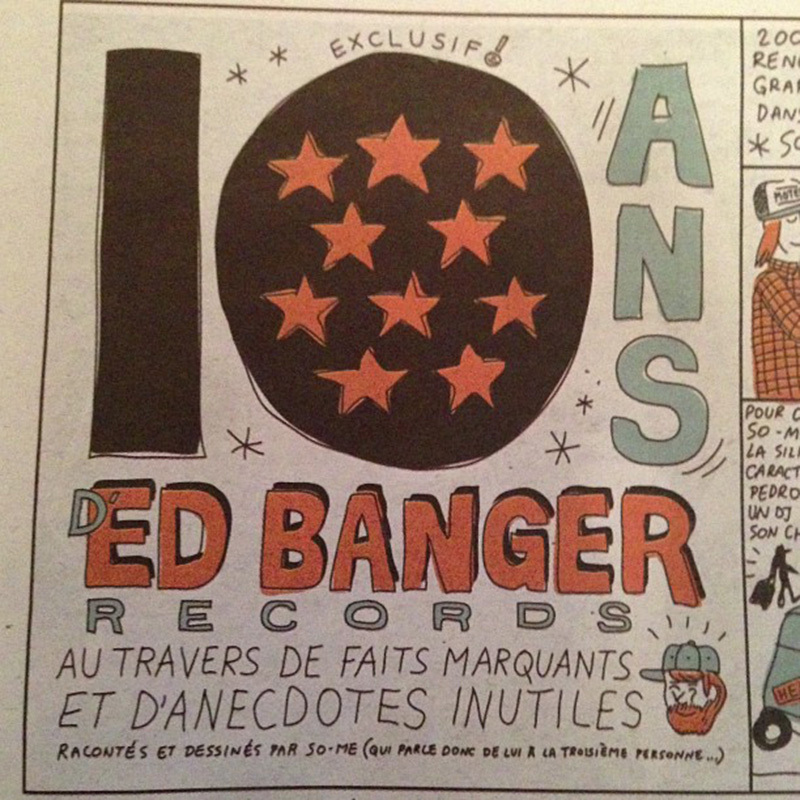 To celebrate 10 years, Ed Banger Records is organizing the party of the century, the 1st of March at the Halle de la Villette. 10 years of music, parties, fun and friendship naturally leads us to lend our support by installing a water-bar on site for the revelers. For the occasion, Colette will exhibit the 12 most significant SO ME album covers in their water-bar, where you can also find Heineken x Ed Banger 140th anniversary collaborative bottles (available as of March 4) and box set (March 20). 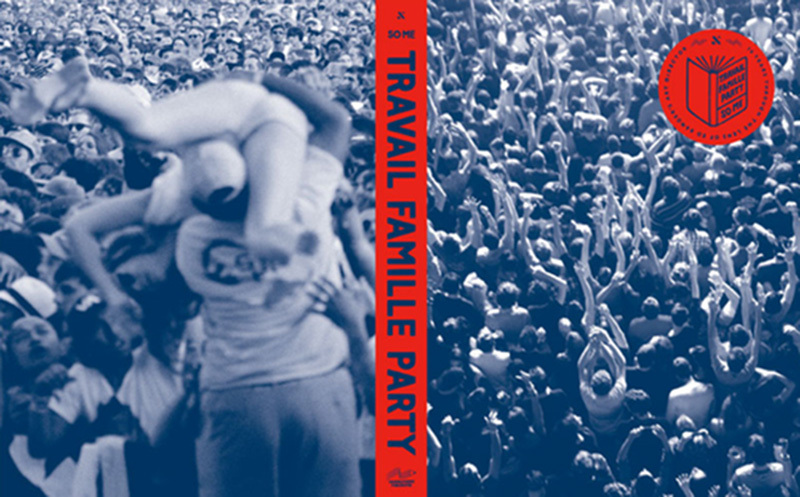 Also coming soon: a book (shown below) celebrating the "Work, Family, Party" spirit, with 400 photos selected by SO ME as well as a compilation. 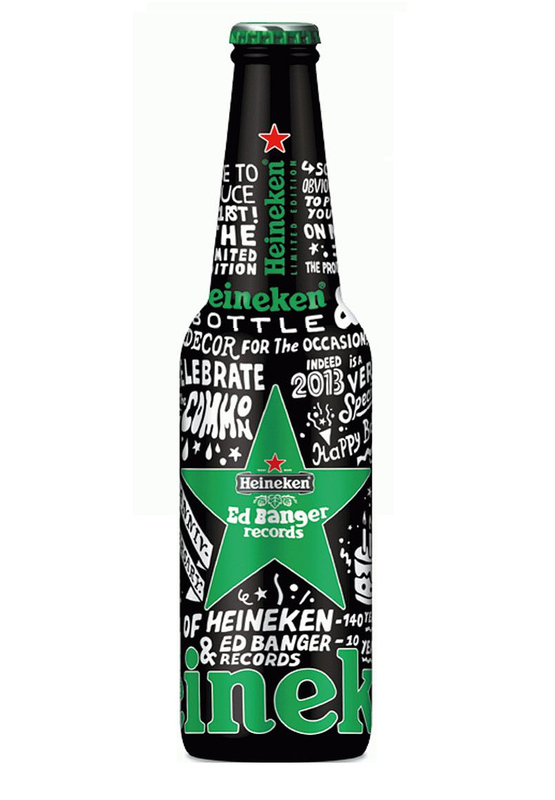 You can pre-order the Heineken X Ed Banger bottle here at Colette. 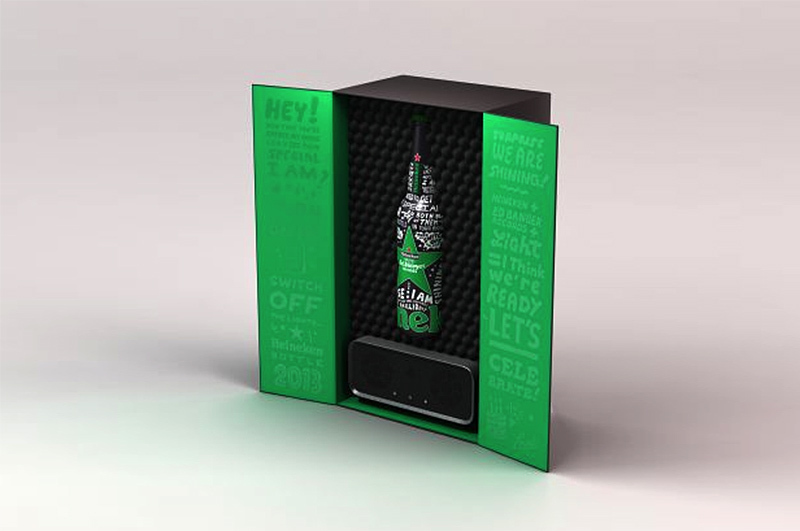 "above: the special boxed set has So Me's graphics, acoustic foam and includes the glow in the dark bottle as well as what appears to be a speaker or Mp3 player of sorts." The speaker in the bottom of the box is a Lowdi.